Part 1 covered the growth and power of the EU by stealth, to implement neoliberal doctrines which can be seen as Crimes against Democracy, of which five were described in Part 2. In this final piece I would argue that because the EU has been created and developed by technocrats, it can never be a true democracy that takes into account the needs and wishes of the people who pay for it all. Brussels is run by these unelected and therefore unaccountable technocrats, many of whom are installed in the two main decision making bodies of the European Commission and European Council, described by one former Prime Minister as the “European Government”. This form of rule was tried in the US in the 1930’s and failed. More recently it has been used by Brussels in Italy, Tunisia, Greece and the Czech Republic, all of which have failed or are failing. The problem is that although technocrats are very capable people, they are specialists who give little concern for the democratic process . . . a process that is essential to governing a country full of human beings and even more essential with a continent full of diverse cultures. For this reason, they have been used extensively to make the governing ‘common denominator’ of the EU one of financial control, in line with neoliberal doctrines. Sadly, these parameters are way too narrow, as we have seen in the cases of Greece, Italy Spain and Cyprus, where the cultural climate is dramatically different to say Germany, France or the UK. For technocrats to govern there is little scope for democratic discussion. This narrow authoritarian approach, which brooks no opposition or deviation from declared policy, is the reason technocracy eventually fails. I believe we are now reaching this point with the EU, as Brussels demands more powers to allow technocratic dictate to run things. The very contrived nature of the UK Referendum is a case in point, as Brussels seeks to frighten the British people into giving it a vote of confidence, by postulating that the world will come to an end if they vote ‘Out’. We saw tactics like this in 2008, when governments used a similarly divisive slogan ‘Too Big to Fail’ to allow banks to rob our taxpayer money. Threats then, that “the end of the world was nigh”, have subsequently been shown to be one big lie. The banks have grown bigger, more powerful and certainly more arrogant since then, whilst remaining bankrupt through continuing their same irresponsible banking practices without any form of promised controls put in place. Indeed, Brussels has now instituted legislation (the Bank Recovery and Resolution Directive) which further protects the banks by allowing them to steal our savings when they go bust again, as they surely will. To add insult to injury, in 2015 they took legal action against six countries who failed to implement these rules . . . Technocratic neoliberalism at its most flagrant! Have we also not learned from last year’s election in the UK, when just 24% of voters put the Tories in power? They too manipulated a vague mandate about ‘Austerity’, which has since allowed them to wreak unopposed havoc with neoliberal policies that support Fracking, TTIP, Privatisation of the NHS, Destruction of the Benefits system and so much more. As you well know, dear reader, this is not spin but what we have actually experienced, as are all of my claims across all these 3 pieces. We can vote the Tories out but such is not the case with Brussels . . . who know it! What possible credibility can any governing body have that stole taxpayer money and then went straight on to negotiate in secrecy for eight years a ‘democracy crippling’ trade agreement, which only came to light through the actions of whistle-blowers and is still unavailable for public scrutiny? These are just two of the frightening examples Part 2 of what technocratic neoliberalism is capable of and what the future holds for all of us, if allowed to continue. In this coming Referendum we should be demanding ‘The Return of Democracy’. We were suckered in by the banks, we were suckered in by the Tories and we are in danger of being suckered in again by Brussels with this ‘In/Out’ vote, which, I repeat, is a contrived device to frighten the British electorate into ratifying the power of Brussels. Given Cameron’s recent feeble results in returning some of our powers it is blatantly obvious that Brussels is not intent upon relinquishing any of its powers . . . Therefore they have to be taken away by voting ‘OUT’ on 23rd June. It will not be the end of the world but rather the beginning of the fight back against global neoliberalism – which has to start somewhere – by restructuring a more democratic and viable Europe. There are plenty of talented and committed people and politicians out there who could make Europe a United functioning democracy. Brussels are not the only ones capable of rule, in spite of what they (and their media) might think and say! It is certainly a daunting task facing us now, as it was 70 years ago – Part 1. We won then and we can win now . . . with the help of our European friends (again!). 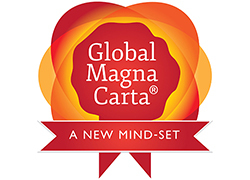 This entry was posted in A Secure Social Infrastructure, Global Magna Carta, Towards a Global Village, Transparent Democracy and tagged 23rd June, Democracy, Empowerment, EU, EU Referendum, Troika, Voter Power on March 31, 2016 by John Coombes. In Part 1 I traced the development of Brussels to its present all powerful position in Europe, as part of the growing financial might of neoliberalism. During the last 70 years, through the democratic process, Brussels has gained its power and is now using that power to dismantle that very same democratic process, contravening its very essence – “The involvement and will of the people”. Debt and Austerity – Greece is by far the most unpleasant example of how abusive these two financial tools have been allowed to become. When we overextend ourselves financially it is prudent to cut back until the books are balanced. ‘Austerity’ was introduced and is not only ‘cutting our cloth’ but selling off valuable state assets at discount prices to pay down debt and benefit the already rich. We should be looking to get the highest price for those assets, not the lowest! It is here we see the iron fist in the iron glove, as the Troika – the ECB, Brussels and the IMF – brought Greece to its knees by piling yet more debt upon the Greek people specifically to meet the interest payments on the corrupt loans originally foisted upon them. The Greeks threw out the offending government and elected a new one, intent upon resolving the countries problems. The Troika simply ignored this democratic process and inflicted unelected technocrats upon the people to override the power of their recently elected government. Who could argue that these actions are not Crimes against Democracy and something practiced on other member states? TTIP – After its global success in gaining a financial grip upon Society with the ‘taxpayer heist’ of 2008 (itself a Crime against Democracy), neoliberalism immediately sought to consolidate its position politically with odious trade agreements. Eight years later, secret discussions, that have been going on between the US and Brussels to install these agreements, have only now come to light through the moral integrity of whistle-blowers. Public outrage across Europe is evidenced by regular (large) demonstrations in major towns and cities, as well as the largest petition in history with over 3 million signatures and growing. With the years of secrecy, designed to hide the intention to allow corporations to sue elected governments for any legislation that might harm profits, along with ignoring vast public outrage, this certainly ranks as a heinous Crime against Democracy. Technocrats – Unelected and unaccountable representatives who, in spite of holding immense sway over European Society, are not responsible to nor can be removed by the electorate. Italy had technocrats imposed upon them by the Troika in 2011 and the unelected government lasted until 2013 when it ran out of steam, as technocracies always do. Italy’s economy (the 4th largest in the world), now looks more like Greece’s (the 44th largest!). There are parallels here with the EU, which has been created by technocrats with the occasional intervention of democratically elected politicians. On rare occasions their work is exposed to the test of public opinion, by way of referendum or election and it is then that they receive a rude awakening. Technocrats cannot live within a democracy, as is now being demonstrated by the British referendum. The message is “We’re not changing, so leave or stay”. This demonstrates another unworkable Crime against Democracy. Immigration – Since the problems that began in Calais in the early 1990’s endless meetings and summits have not found a solution to aiding these desperate people, so much so that it is now “pushing Europe to breaking point”, the Dutch prime minister is quoted as saying. This suggests that the Schengen agreement on free movement of people, a foundation stone of the EU, is close to collapse. The demands from Brussels that member countries take specific quotas irrespective of whether each country is capable, or suitably prepared for the proper and responsible integration of so many strangers into their Society, is simply being ignored. European Central Bank – As this bureaucracy plunges the Eurozone into negative interest rates it demonstrates a level of panic that lacks all credibility. The technocrats here are blindly following a Japanese model that has panicked banks and the people into hiding their cash to such an extent that it has now become impossible to buy a security safe anywhere, whilst doing nothing to remedy the country’s financial problems! With this in mind, an unofficial war against cash is now being waged to make us spend rather than save. Brussels is already looking to decommission the €500 note “in the interests of fighting crime”. (Crime has been around since we lived in caves . . . So why did they introduce this large denomination in the first place?!!) With that precedent created the smaller denominations will follow! If their war on cash succeeds they will have total control over how we use our money, (possibly the object of this entire exercise), representing a serious financial Crime against Democracy. Just these five abuses would, I suggest, demonstrate how undemocratic Brussels has become in its arrogant use of power. I am convinced these tactics are constantly testing their power to gauge what they can get away with, in the same manner that the banks successfully did with “Too Big to Fail” in 2008. In the third and final part I offer my worries that these Crimes against Democracy will not decrease but in fact become the norm, if Brussels is allowed to continue running the EU into the future, because of an increasingly restricted democratic process. 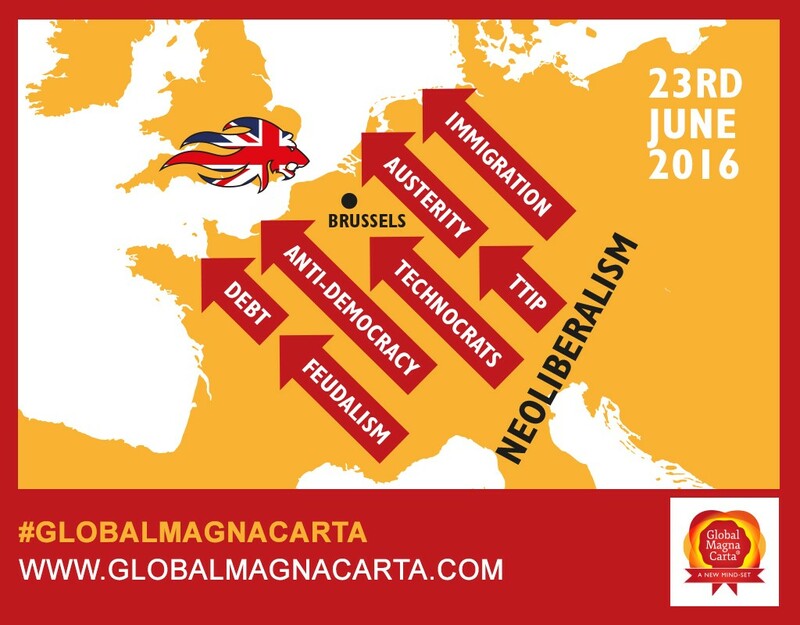 This entry was posted in A Secure Social Infrastructure, Global Magna Carta, Towards a Global Village, Transparent Democracy and tagged 23rd June, Brussels, Elections, Referendum, Troika on March 30, 2016 by John Coombes.